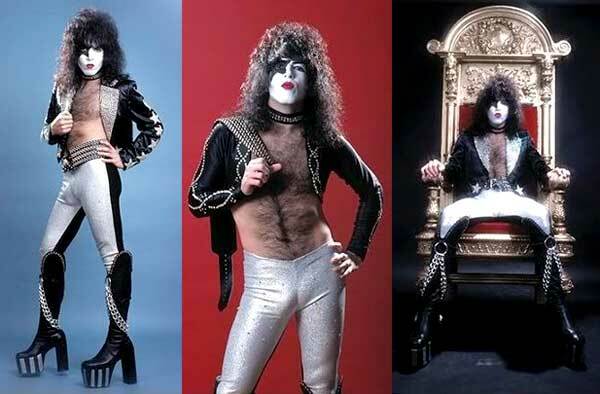 Paul Stanley 1978: A six-foot – hot luck – all-American maaaan! Tonight You Belong to Me. No punches pulled, as this majestic powerhouse opens the album. Are you kidding, Paul? You sure you don’t want to put this song a few songs in, to get the people warmed up a little? The only warming up is the acoustic, dreamy swirl of the intro, with Paul’s reminiscing falsetto – before crunching into the riff and unleashing that golden throat, with a final chorus high note that will leave you breathless. Move On. Pure rock n roll with a touch o’ gospel. “When I was just a baby / Mama sat me on one knee / She told me, boy you listen there’s a lot you oughta see / A lotta pretty women gonna try an’ tie you down / You don’t know what you’re missin’ if you never look around…” Funniest thing is imagining Stanley literally as a chubby little baby with a tiny star painted on his face – with that same hairstyle. His mother is telling him about the birds and the bees when he was small enough to sit on her knee? No wonder he’s such a ladies man… Is that Ace on lead guitar? No, It’s the mighty Bob Kulick, KISS’s go-to axeman, precisely because he sounds like Ace, or vice versa – that blues-based heavy pentatonic style – and precisely because he’s NOT like Ace. The soft rocker Ain’t Quite Right, the most “jazz/easy listening” of the bunch. Wouldn’t You Like to Know Me? Fully aware of his rock god status by this point in the game, Paul poses the question on this flamboyant rocker that would make every teenie squeal in reply, “Yeeeeees! !” Remember guys and gals, Paul and his band were the One Direction wet dreams of their day. Take Me Away (Together as One). Did someone say (Music From) The Elder? “The trip begins / The dream of it / Sets me free…” If there was any song that presaged the splendor and majesty of The Elder… So this kind of epic journey rock was always in Paul’s blood, buried deep in his unconscious; Take Me Away sounds like something that will one day belong on that album that would topple a dynasty. Carmine Appice (a legend even back then, from Vanilla Fudge, Jeff Beck, Rod Stewart) makes his drums talk and then beg for mercy. 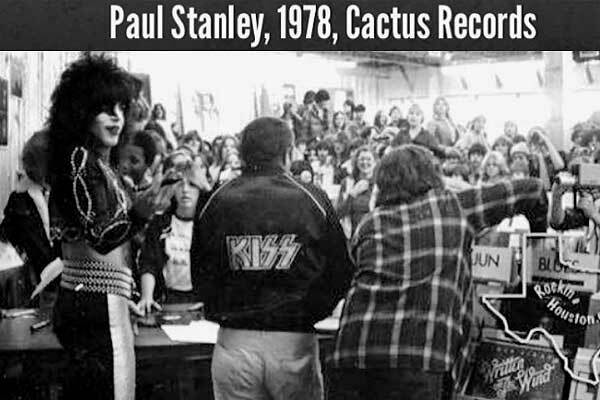 Paul Stanley 1978: in-store appearance. It’s Alright. Side 2 switches gears with Stanley back in Dressed To Kill mode, with this effective G-tuning blues rocker. Hold Me, Touch Me (Think of Me When We’re Apart). The single. A mistake. I guess Stanley was under the impression that we would expect a silly love song from The Starchild. Though a reasonable, string-soppy ballad (piano and synth strings by Doug Katsaros), it had nothing on the simple rocker It’s Alright, the rollicking Move On, or the powerful hair-grabbing statement of Tonight You Belong To Me, all of which would have made better singles. No matter, as the only single from any of the KISS Solo albums to make a dent in the charts was Frehley’s New York Groove. Love in Chains. Well, it definitely sounds like KISS – a throwaway deep cut from a KISS album. Even Kulick can’t seem to figure where to go with the solo. 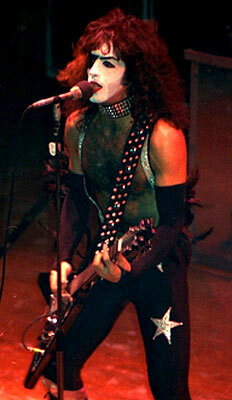 Starchild, Flying V, flying vocals. Vocal training. It’s all over the Paul Stanley album. The results of training don’t appear overnight, so over the years, we probably didn’t recognize Paul’s voice getting progressively better. It’s subtle, and to be sure, I never noticed it for decades, but if you A-B the early KISS albums (Kiss, Hotter, Dressed) with this Solo album, you can definitely hear Paul’s stunning display of accrued expertise. From the first song, Tonight You Belong To Me, we hear it: Listen to that powerful chest voice that Stanley puts into the word “me”! And then the last scorching high note on the same word. He’s singing with his larynx fully open to get that thickness. Compare that to the way he sang “me” on C’mon And Love Me (another song I’ve rambled on about at great length). His approach there was to falsetto the leadup (“Come on and love…”), which leads to the slight push of air on “…me.” There is no chest in that voice at all. But it’s a different song, you whine. You’re right, but if Stanley had had the vocal tools he has now, would he have made a different approach? On Take Me Away, he’s framing every single “ee” syllable with such consistent power, “Yesterday is far away, so take me out to sea / Far away, I’ve been what never will be…” And then floating into falsetto with much more confidence than the small instances from the first 3 albums. It’s a breath-hammering display of a man nearing the apex of his powers (which would occur between the mid-80s to the mid-90s). High notes that he would screech or “fry” on the first 3 albums, Stanley is now actually hitting with clarity, and we can sense the confidence and reserves of power behind the vocal performance, whereas songs like 100,000 Years or Anything For My Baby seemed to take all he had. Paul Stanley stands as tall as any rock vocalist out there, yet he is rarely recognized for his vocal ability due to the distraction of the circus known as KISS. Vindication would come for us believers when he joined the cast of Phantom Of The Opera in May 1999. See? we said! If our hero can be respected by this TRAINED MUSICAL ECHELON, imagine how good he must actually be in the rock milieu! 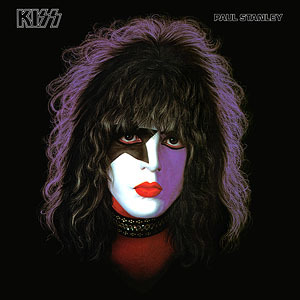 Well, we didn’t have to imagine – here it is: the 1978 album from the catalyst, the hedonist, the VOCALIST – Paul Stanley! 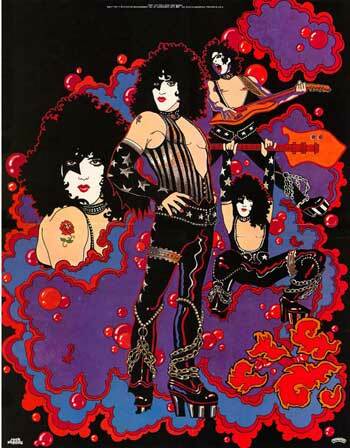 Produced by: Paul Stanley, Jeff Glixman. by Jon Dunmore © 14 Dec 2015.